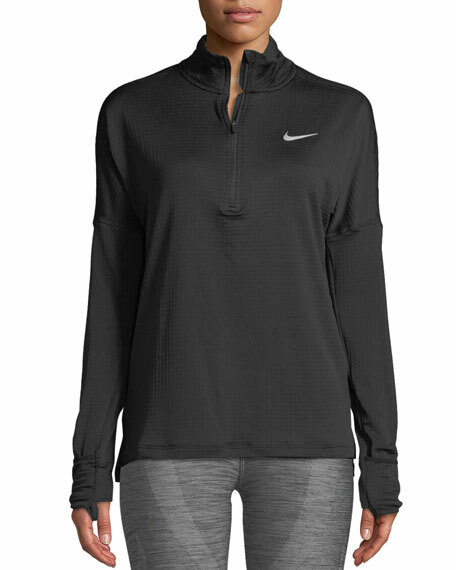 Nike "Therma Sphere" running top in high-performance fabric. 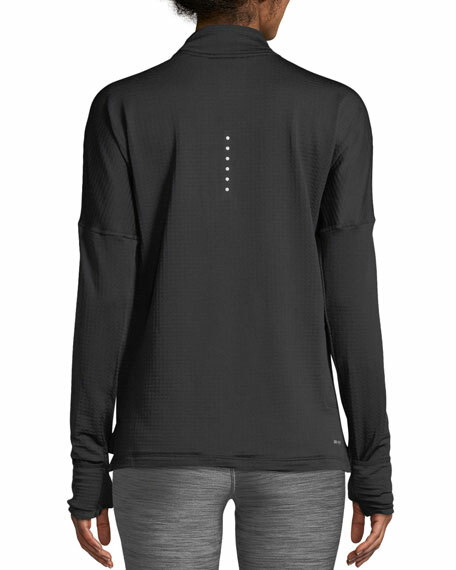 Dri-FIT Technology wicks sweat away from skin. Soft fleece fabric holds body's natural heat. Stand collar; partial zip front. For in-store inquiries, use sku #2523228.